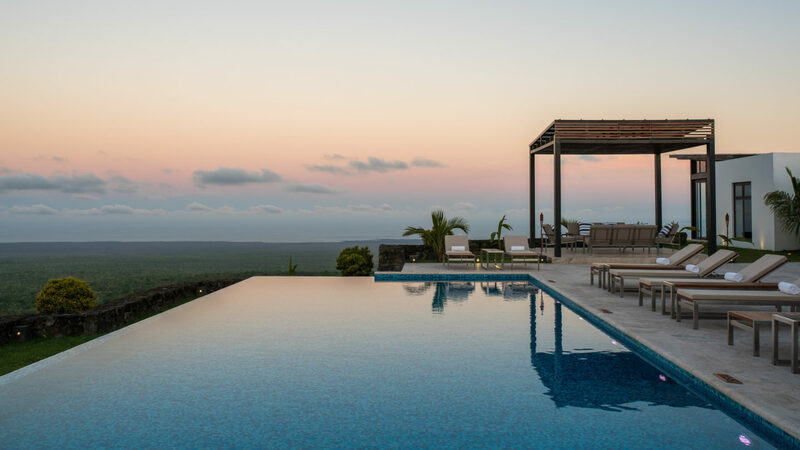 The Galapagos Islands, located off the coast of Ecuador, plays home to one of South America’s leading green hotels: Pikaia Lodge. The lodge sits atop two extinct volcanic craters on Santa Cruz island in the center of the archipelago. Adventurers will want to dive in to the surrounding marine reserve, a UNESCO Natural World Heritage site, named one of the Seven Underground Wonders of the World. On terra firma, guests explore the private wild tortoise reserve for more close-up encounters with wildlife. 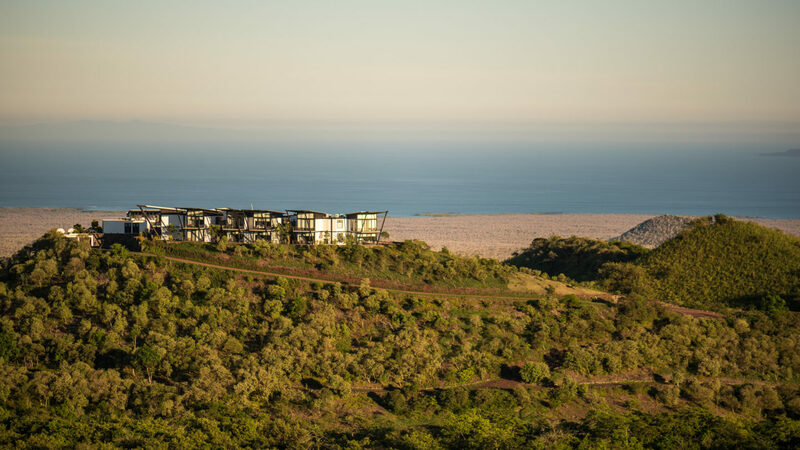 Evenings bring peaceful accommodation in eco-conscious suites, filled with light and airy views. The Evolution Restaurant is perched on the edge of the crater and aims to please guest palates with authentic Peruvian and Ecuadorian cuisine, and a walk-in wine cellar walled with South American vintages. 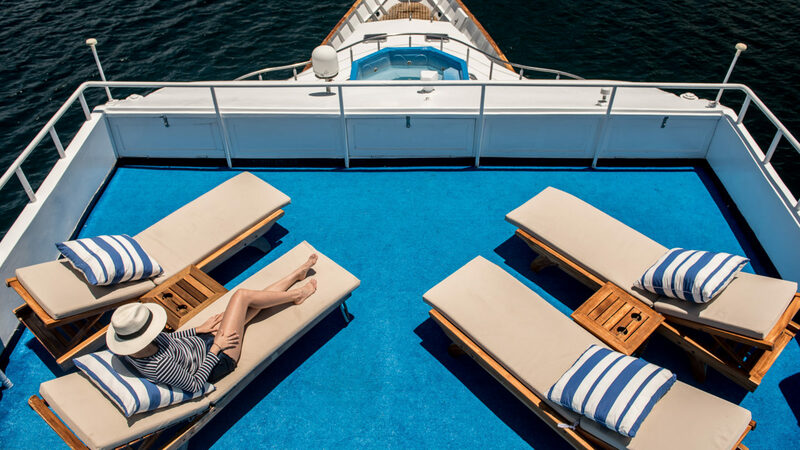 The lodge’s 100-foot yacht, the Sumaq Spa and an infinity pool round out the amenities. Fun Fact: 97% of the Galapagos is dedicated national park area, protected from development to ensure the survival of the indigenous species for the enjoyment of generations of travelers to come. 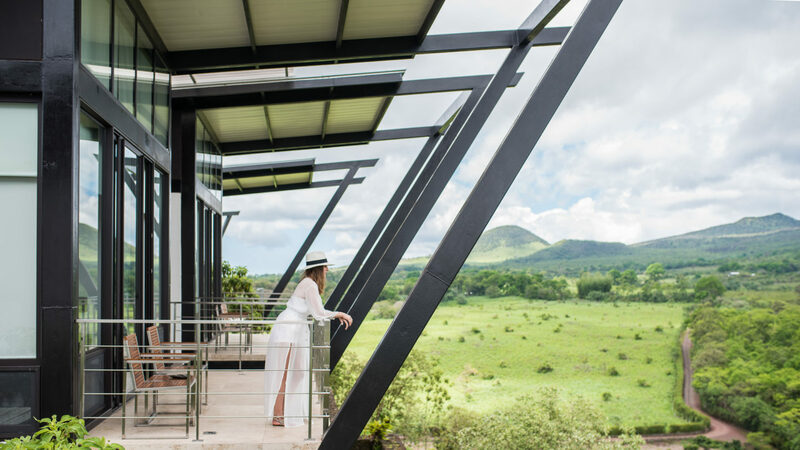 Spacious rooms and suites have panoramic floor-to-ceiling windows, private shaded terraces and balconies with breathtaking unobstructed views over the green-tinged volcanic landscape of Santa Cruz to the blue Pacific Ocean. Designed with a modern but cozy contemporary style, the rooms are naturally well-lit and ventilated. All rooms have large bathrooms decorated with marble walk-in closet, wall mirrors for each guest, a closed toilet room, and a shower area with views of the ocean or separate bathtub. 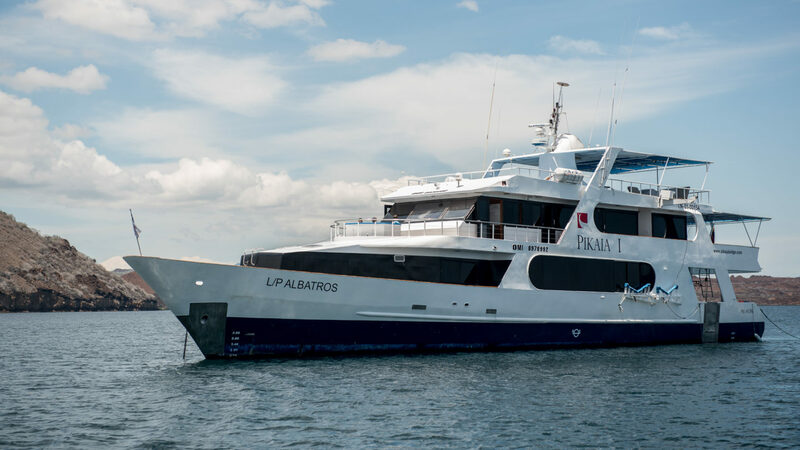 Pikaia Lodge is located on Santa Cruz Island in the center of the Galapagos Archipelago.